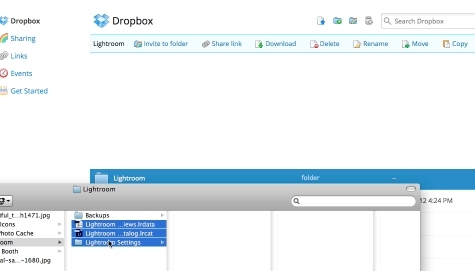 To share a lightroom catalog between computers, the easiest way is to use the Cloud, Dropbox for example. First, head over to Dropbox.com and sign up for an account. Once you create your account and get everything loaded on your computer create a folder to house your catalog on your dropbox account. Close lightroom and move your catalog to this location Now, you’ll need to move the Previews.lrdata folder and Lightroom Settings folder, if they exist. While Dropbox is syncing your files, go ahead and setup your second computer. Once that is finished, your Lightroom catalog is now shared between computers.